As many of you may know I’m obsessed with Essential Oils! I love essential oils! When I got my essential oil starter kit over three years ago I was smitten. The first thing I opened was peppermint! Oh! Then came Thieves! Now I use essential oils on my body, to cook with and in our home! 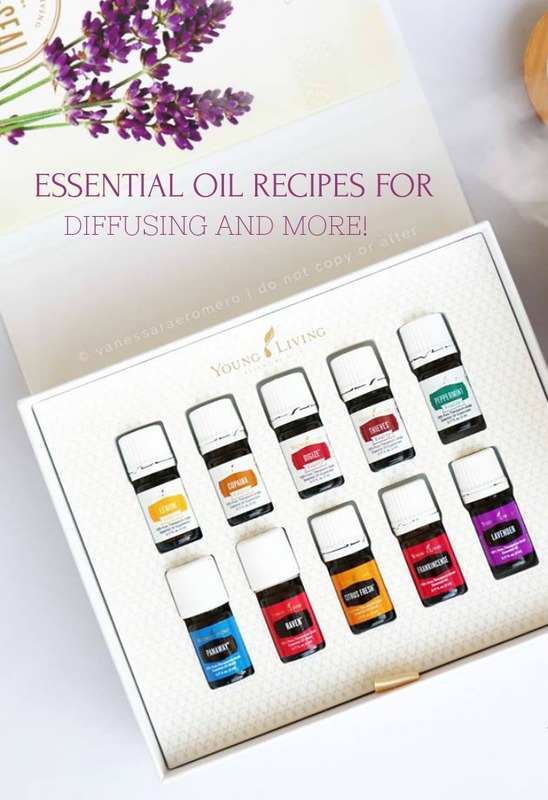 Let me share with you why I love essential oils and some fabulous ways to diffuse and roll on blended essential oil recipes! As many of you know I’ve had a year of surgery after surgery. Nine surgeries on my ankle due to a bone infection. Lots of IV antibiotics and meds. Lots of anesthesia and lots and lots of ugly side effects. Hopefully, I’m on the uptick but this has not been the best of years as far as feeling good. And I’m all about feeling good! Because of all the meds and chemical poured into my body to save my foot or leg or possibly even my life I felt like a shell of myself. Depleted and a bit defeated, to be honest! My hair was left brittle, my skin lax and my weight like a yo-yo! It was the chemicals and their negative reaction on me that to the worst tole. I realize they probably did same at least my leg and I am happy about that! But now I’ve made living clean a way of life to rid my body and home of harsh chemicals. In the past, I’ve used essential oils and loved them but had never considered using them to replace common cleaning products in my home that are filled with chemicals. But now I get a monthly order of everything from makeup to all-purpose cleanser and every essential oil in between! And I’m loving the results! I feel good about using them and my home looks and smells amazing! 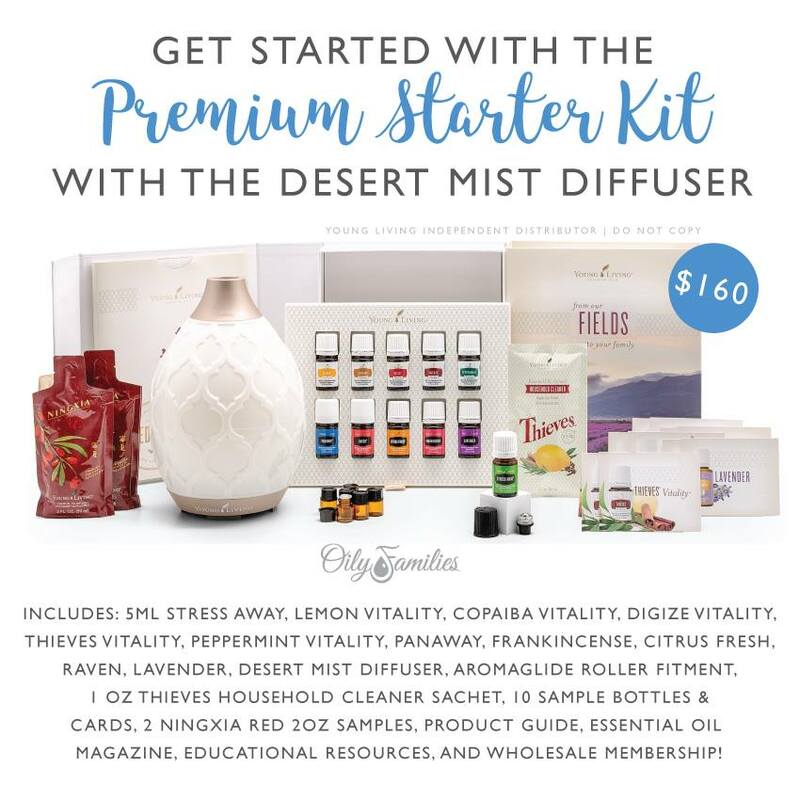 And to think this all started with a “starter kit” from Young Living oil! If you would like to know more about essential oils, how they work and how to use them then keep an eye out for some great posts right here at StoneGable. I’ll be spilling my essential oil secrets to benefit skin. And I have a great “recipe” for a sink scrub that will make your whole kitchen smell so good! And lots more! 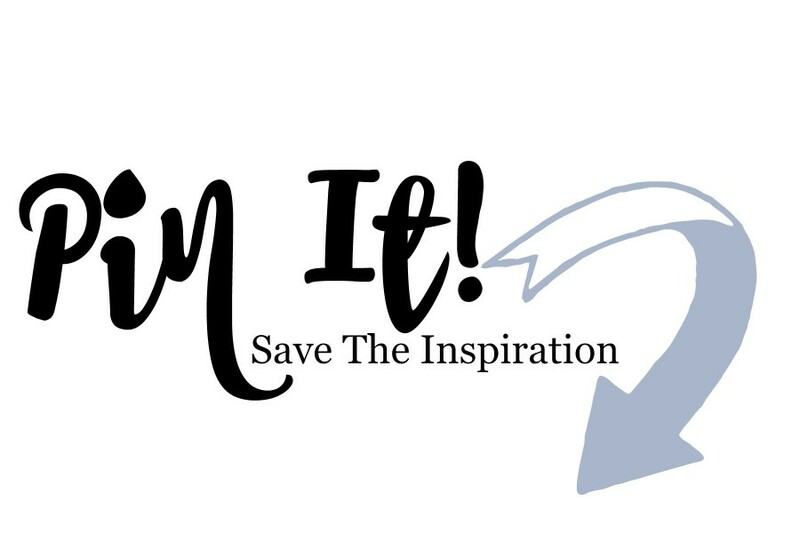 If you are like me and have become interested in essential oils the best way to learn and start using essential oils is to get a starter kit. It gives you the biggest bang for your buck and with it, you can create so many fabulous aromas to diffuse and roll on! It also makes you a wholesale member. That means when your order any YLO product you get it at a 24% discounted price. Over $300.00 worth of essential oil products for $160.00! I got my starter kit over 3 years ago and have been hooked ever since! And here’s an easy cheat-sheet to help you order your starter kit! Here are some really nice “recipes” to make with your starter kit! My fav’s are Sweet And Spicy, Seasonal Comfort and Afternoon Wake Up! Well they are all such wonderful scents! 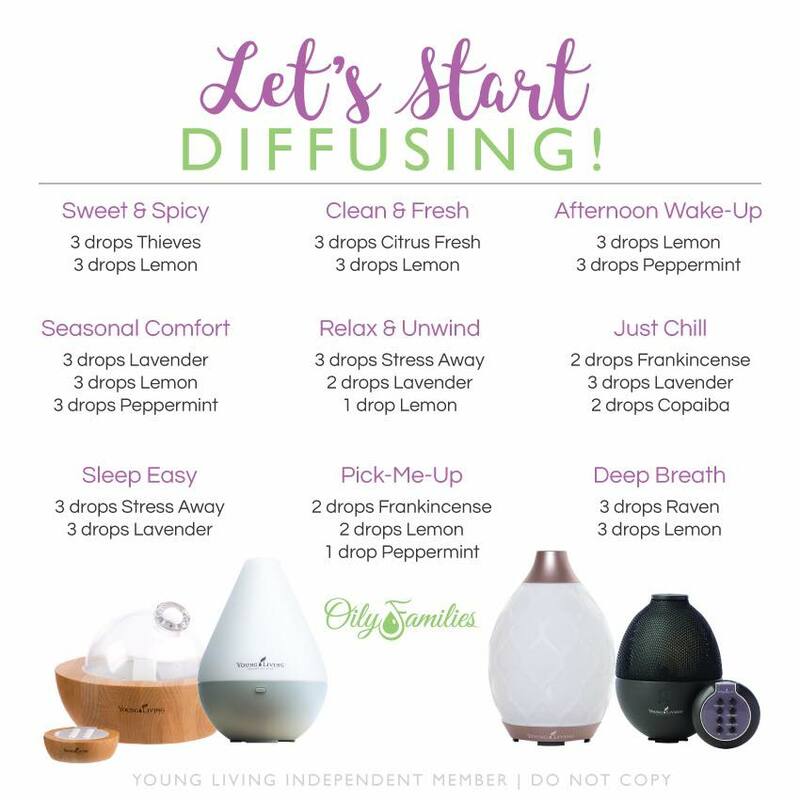 Here are some wonderful aromatic blends to diffuse and to roll on all mixed from the starter kit! You will also need to order a carrier oil to make the roll on’s. Get it HERE. The carrier oil last a long, long time! To order your starter kit go HERE. And put in my #3098375 . Make sure to be looking for upcoming ways to use and diffuse these wonderful essential oils. My friend Susan is a wonder when it comes to Essential Oils and is helping me. So if you see her commenting and answering your questions you will know that I’m happy for her help. I hope you will consider starting to live with less harsh chemicals in your home too! Info is for educational purposes and is not intended to diagnose, treat or cure any disease. Hi, would like to purchase Theives from Young Living, can I purchase from you? You will LOVE Thieves! And if you mix it with orange essential oil it makes the air delicious. I have that diffusing right now! Is it possible to get the sink scrub recipe from you? Dearest Yvonne, I follow Decorating Tips and Tricks, so I’ve heard something of your troubles, but I didn’t know it was osteomyelitis. That’s beyond terrifying! I went through something similar in 1985 when I contracted blood sepsis from a puncture wound. I spent four months in the hospital and three different six-week periods on iv antibiotics. Thankfully I was only 25! I’m really wanting to take the plunge on the Young Living starter kit, especially because I want Thieves after hearing you talk about it on DTT. I’m praying for your continued healing and hoping this nightmare is behind you! I’m glad you shared, Yvonne. IMHO, it helps readers to feel even closer to you than they already do! And you shared in perfect ‘taste’, too! Hugs! Oh dear, you have been in the wars this year! My love and best wishes go across the oceans to you. Yes, it seems that many of us are moving towards clean living from eating real foods, banning plastic bags, being aware of the environment and realising that we are just caretakers of it for future generations. Thanks Nancy!God, Bobby and my blog were certainly my lifeline this past year! I started using essential oils for cleaning about five years ago when my mom was diagnosed with a rare lung disease. Switching to chemical free cleaning was the best thing I ever did, not only for my mom, but my entire family. I have recently been researching going chemical free everything, so this starters kit, might be just what I need to get started. Thanks for letting us know about it. Yvonne, this post is an answered prayer! I had knee replacement surgery 3 months ago and I’m all out of whack! My hair is awful! Looking forward to reading how you are cleaning those chemicals out of your body! I’m so happy to hear that you are on the mend! I love your blog. Oh my! So sorry! I know what you are going through. I’m so sorry to learn of your health struggles over the past year. I connect with you in almost every post and wish I could know you in person! 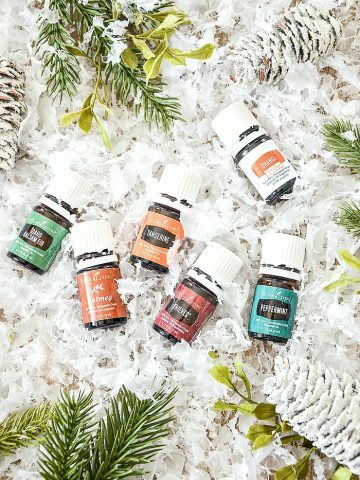 I too LOVE using my oils in many ways in my home and as roll ons. They make more sense to me as natural products than the chemicals. Thank you for including these recipes, I’m always looking for new ones. So glad you’re on the upswing health-wise. I can’t wait to hear about the course you’ve designed. Thank you Yvonne, I have been dabbling with oils, but I am not very good at knowing what to blend. Thank you for the blending guide. I just printed it out for easy reference. I didn’t realize you were having such a hard health year. You will be in my prayers. I also love essential oils. As a cat mom though one must be very careful not to use or diffuse certain oils on or around a cat as they can be deadly. Their livers lack a specific enzyme necessary to break them down. And the results can be death. So many people do not know this. You have been in my thoughts and prayers during this past year, and will continue to be. If there is anything I can do to help, please let me know. Thank you for the information about your favorite essential oils. I became a YLOily only 2 months ago & I am as enthused as you are! It’s a wonderful change to our home. I just packed up some Nasal inhalers, chest rub, & moisturizer that I made to send to my daughter. So happy to join the Oily family. Yvonne, I love the idea of essential oils. But since I lost my husband, I can’t afford luxuries like that. I am sure many subscribers are in the same boat. Don’t mean to be poor mouthing, as my mother would say….just stating facts. Love your wonderful blog. I am so sorry for your loss, Janice! I can’t imagine. I get my cleaning products, dish soap, face cream etc. Lots of items that are not luxury and we all use every day! Thank you for sharing… I have followed you for several years and tell everyone about you great ideas and lovely home! 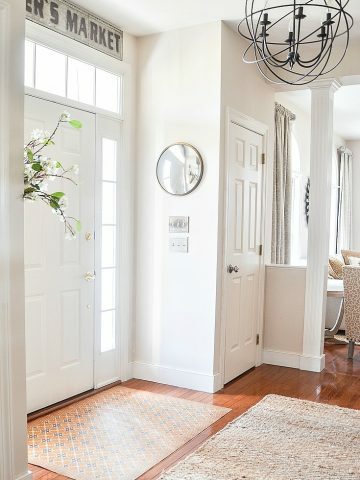 My favorite room, it was hard to pick, but I love your dining room! I will continue to lift you up in my prayers for a full recovery! Thank you Ann. Just like many other natural products, animals can be sensititive to things we use in our homes. 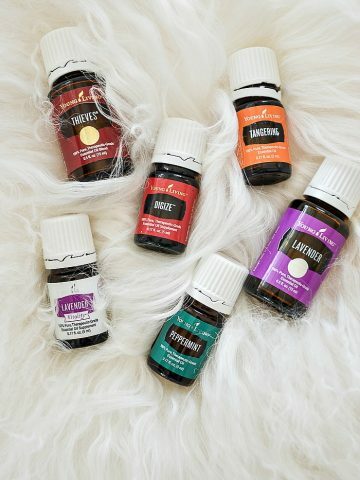 I also am a YL Oil user! Curious as to your recipe for the kitchen sink? Something other than Thieves? Thanks for all your great advice and decorating tips! It is so easy and so good. My cat Hobbes of 7 years had his first “accident” inside. I used the sink cleaner recipe to get rid of the cat odor. Worked great! I just received my YL starter kit last week. 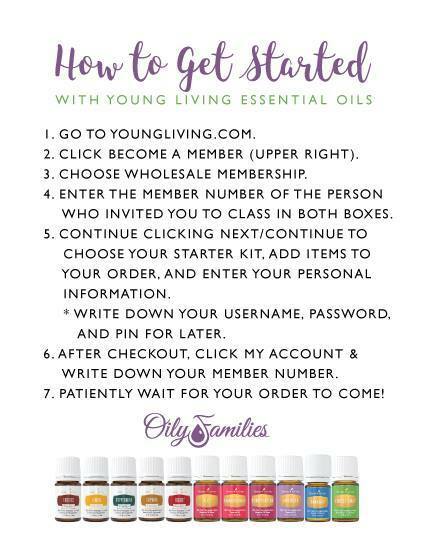 My niece has been a YL member for almost a year and she has shared so many uses for these oils that I decided to just get my own kit. 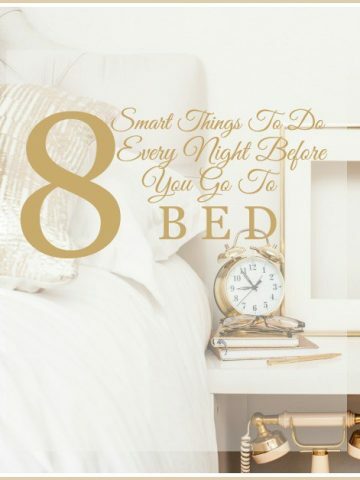 I love using lavender and cedar wood in my diffuser when I have trouble winding down to sleep. I have been making your sink scrub since you first posted it, not realizing until recently that it was a YL recipe. I look forward to seeing how you are using these oils in your home and hope that you are well on the road to a healthier year! Yvonne, What is Raven, Thieves? You say natural. What are these? HELP! Raven is a blend of Cyprus, Spruce and three types of Eucalyptus. What a wonderful uplifting aroma!!!! 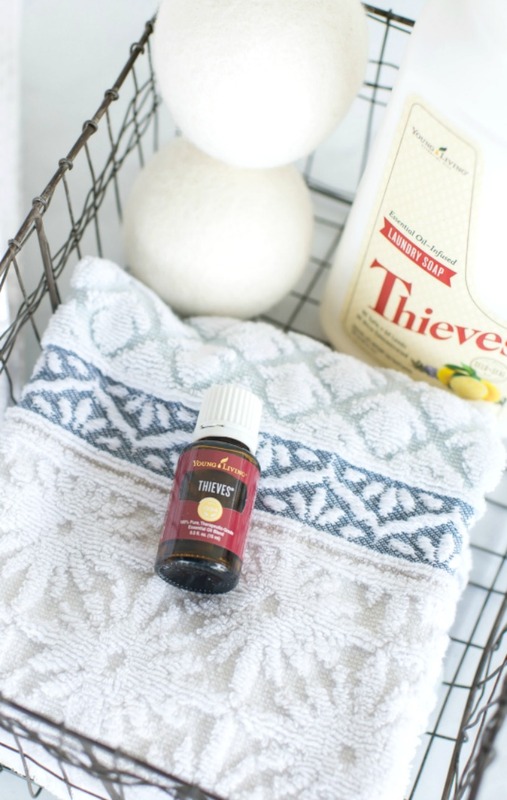 And Thieves is a blend of Clove, Lemon, Cinnamon, Eucalyptus Radiata, and Rosemary essential oils. It has the most wonderful warm, spicy aroma. I use it to diffuse, mix into my body lotions and I use Thieves cleaner to clean almost everything in my home. Natural means just that. All these oils are high quality and derived from plant material. Hope this helps. I use Thieves to clean with and to clean my fruits! I have asthma and other cleaners bother me! In the winter I put a drop of Thieves on the corners of my pillow case, this helps keep my nose from stopping up and helps my sinuses! I love Young Living essential oils too, Yvonne! I have my own account and order frequently. My favorite smell is Theives, and love to clean with it. I make my own spray cleaner and keep in a beautiful amber spray bottle and bought a decal for it off Etsy. I also diffuse it, and purification is another one of my favorites to diffuse. I’m so sorry you’ve had such a difficult year with your health, and I will certainly pray for you and ask God to heal you and make you feel your best. We all want good health and to feel our best so that we can enjoy the gift of life we are given. Bless you!